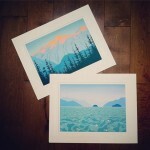 May News: Prints are in! 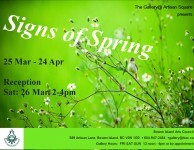 Signs of Spring on now! 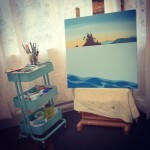 Studio shot of my current canvas, “Sunset Solitude”. Progress is slow with my 1 year old daughter! I am trying something different this time, working my way upwards towards the reflection of the sky and the islands instead of working down. Loving how its coming together! Mini Gala at the BIAC! 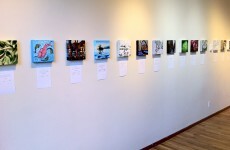 Come check out more than 50 anonymous 8″x8″ paintings – generously donated by local Bowen Island artists – including me! A fun exhibit running from Feb 5 – 21 with the gala on the 19th. See you there!